The G-USM is a Sound-Link / Microtech Gefell special. 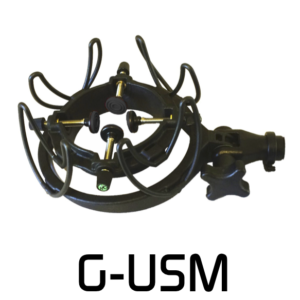 It is based on the Rycote USM mount and sells for about the same price. The main differences are the green Gefell logo on the adjusters and the black microphone pads.